The mud pumps we service at Floyd’s Welding Service are used primarily in the oil industry to pump pit mud & down hole water, and pressure up well heads. 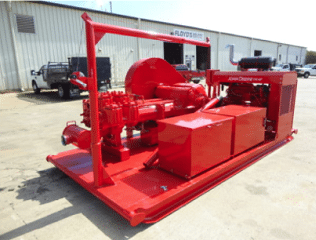 Some important features of our mud pumps include: skid mounted to load easily on float or winch truck, sits conveniently on the ground by the pits, and has a boom & winch to make 4″ suction hose & pipe easy to handle. 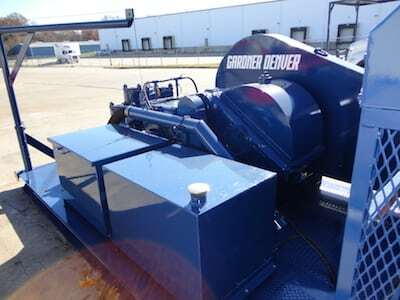 Floyd's Welding provides mud pump repair and welding services to clients throughout Olney, Vincennes, Effingham, Salem, Fairfield, Louisville, St. Elmo, Griffin, Crossville, and surrounding IL and IN communities.